- a creative company providing hand painted murals, decorative painting and bespoke art. Inspired Spaces is a creative company offering Hand Painted Murals, decorative painting and bespoke artwork. Mural Artist Helen Brady is a qualified and experienced Fine Artist who has been designing and painting wall murals for almost ten years. She lives on the Surrey / Hampshire border and offers unique hand painted murals, decorative painting and bespoke artwork on canvas for your home or business. Helen works throughout the South East and further afield, creating hand painted murals for both domestic and commercial spaces. For your home, Helen paints beautiful hand painted murals for nurseries and children’s rooms, living rooms, stairwells and bathrooms. She has also designed and painted murals for gardens, from garage walls to fences. In addition, Helen has extensive experience of painting hand painted murals for commercial spaces. Helen has completed both interior and exterior wall murals for hospitals, schools, golf courses, retail spaces, offices and soft play centres. Furthermore, Helen has designed and painted a number of public murals, including work for clients such as the Environment Agency. 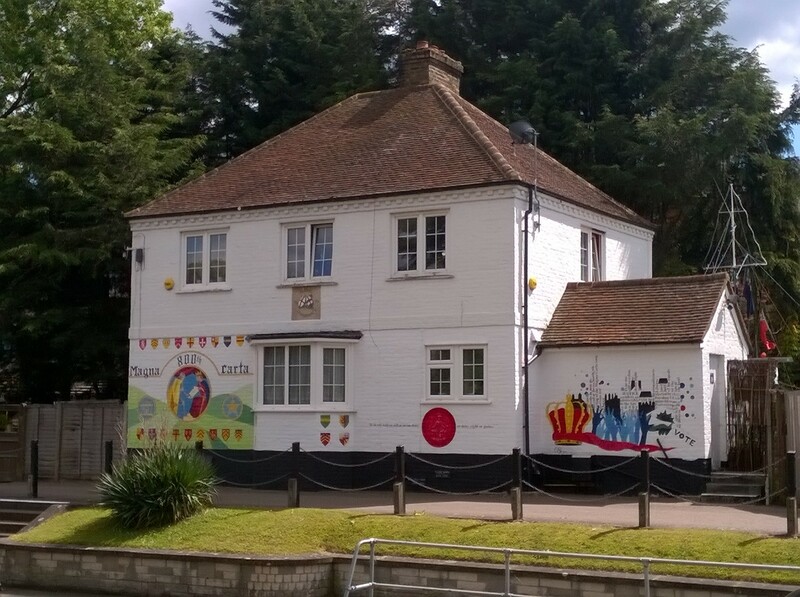 You can find her murals commemorating the 2012 Olympics and anniversary of the signing of the Magna Carta on buildings along the Thames. Hand painted murals provide a long-lasting and exclusive solution to decorating any space. They are a unique alternative to stickers, wallpaper or printed vinyl. Printed wall murals often come from a tired stock of images. They are hugely restrictive when it comes to difficult spaces. 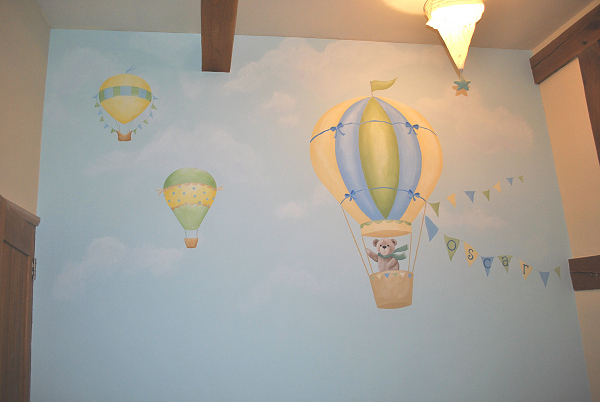 Alternatively, hand painted murals can be custom designed and painted on walls, ceilings, canvas, furniture and more. Why not choose an original decorative solution which will make your home or business stand out from the rest? Whether your spaces is either interior or exterior, Helen will discover endless creative possibilities waiting to be explored. Please contact Helen to start creating your inspired space today! Helen Brady is a qualified mural artist. She graduated with a degree in Fine Art and Spanish in 2002 from the University of Wales, Aberystwyth. She continued her postgraduate studies in Art History and Spanish Literature, gaining her MPhil in 2007. Helen lives in Fleet on the Surrey Hampshire border, and creates hand painted murals throughout Surrey, Hampshire, Berkshire, Sussex, Buckinghamshire and parts of London. She is also able to work in other locations in the UK depending on the scope of the project. Inspired Spaces offers children’s wall murals, nursery murals, contemporary murals and commercial murals. Helen’s hand painted murals are executed to the highest professional standard. Helen can also create decorative motifs and borders, smaller ‘spot’ designs, original artwork on canvas, painted furniture and more. All work is custom designed and hand painted for any area of your home or business, interior or exterior. We are absolutely thrilled and delighted with the mural, the children and staff are gobsmacked when they go up and see it! It was a pleasure to have you in school and to quote our Headmistress you are now a dear Allerton School friend! Thanks again Helen! You have made our library an inspiring environment to work in and the children are all so excited to go up and read which was my aim this year! So you have helped me achieve my vision!! Helen has the rare ability to juggle the ideas of three different people and weave them into her own perception to create a finished article which is a joy to see. She is also reliable, business-like and realistic in her estimation of time-scales, costs etc. So glad we discovered her. A massive thanks to Helen for her professionalism and creative talents. We are so happy with our flamingos, they look fantastic and cheer up our bathroom on a cold winter’s morning. Last summer I commissioned Helen to paint some Mural’s in my paediatric A&E department. I found her hardworking and professional throughout. Her murals were excellent with fantastic attention to detail and I would not hesitate to recommend her. Helen painted a wonderful mural for our 5½ year old daughter’s bedroom, covering walls, doors & ceiling as well as a rocking chair. She is a well-organised & reliable artist who obviously knows her trade & materials well. Although the room was not going to be ready for almost a year, Helen was happy to visit and provide ideas well in advance. She understood what we wanted, interpreting our specification and ideas professionally, creatively and realistically, bringing much skill to bear in their transfer into an attractive & fascinating design. Although our house remained in the late stages of a rebuilding project, Helen was happy to operate in some fairly basic conditions, coordinating well with our main house painter on those rare occasions when it was needed. Our little girl is delighted with the artwork that Helen created for her bedroom. Kate loves her animals and she is thrilled with having a complete zoo in her room, saying goodnight to each animal and making their nosies every night before bedtime. It’s a lovely design and we’re all really pleased with the work. Thanks! Max is sooo pleased with your mural, he shows it off proudly to everyone who comes round and it really makes his room a special (and unique!) place to be. Every time I’m in there reading him a story, I see lovely details in the painting I haven’t noticed before. You’ve really done an amazing job. Thank you again. You have a wonderful talent …We’re all really happy with it – the whole family have seen it and everyone is amazed at your talent. You’ve done a brilliant job and delivered exactly what we discussed only it looks even better on the wall than on email or paper!!!! 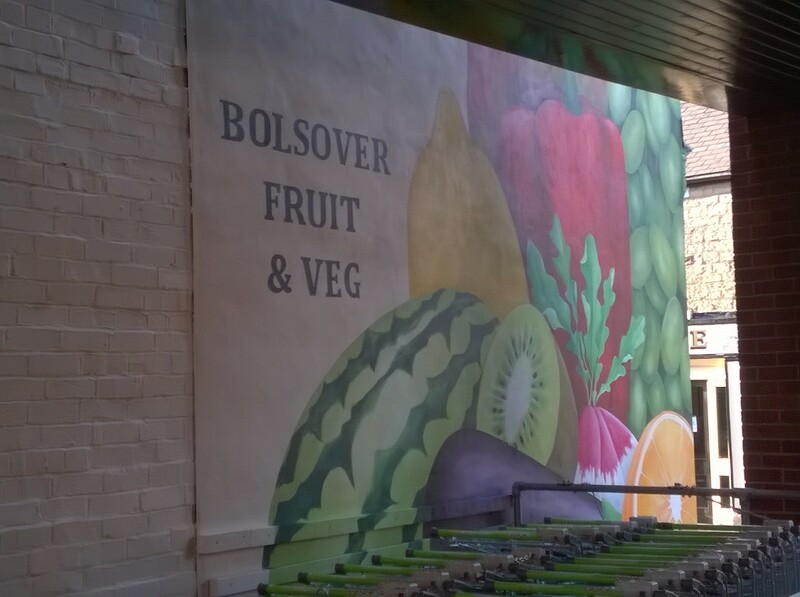 Many thanks for a job very well done – the mural looks delightful. I can assure you we will be delighted to use your certain talents again in the near future.